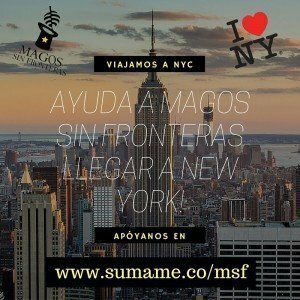 Help our kids get to New York! 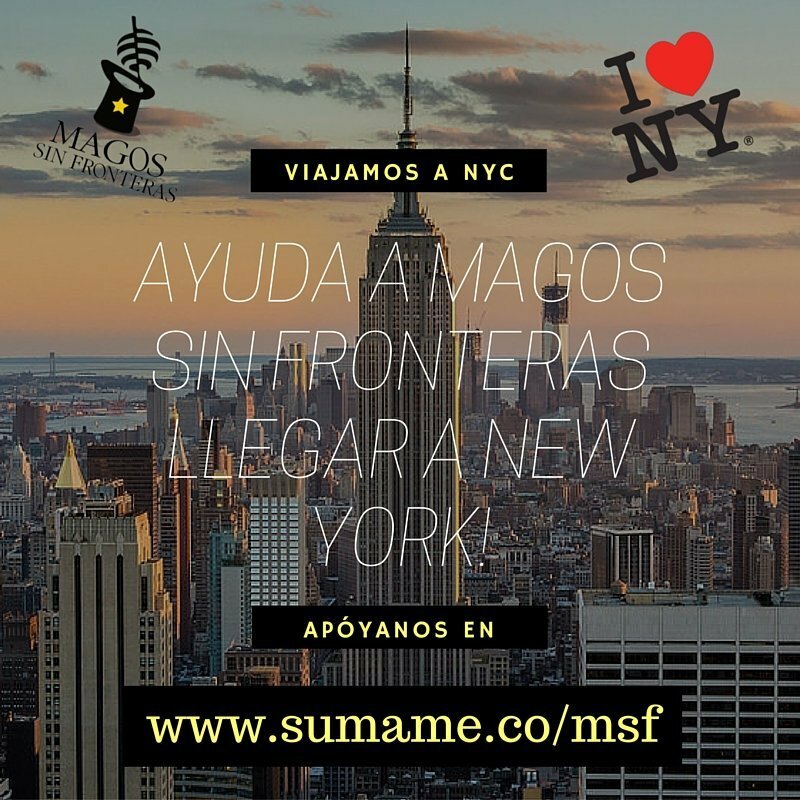 Help us get to New York! The kids form our program in Colombia; led by the Smiling League ONG in alliance with Bella Flor and Magicians Without Borders, have been invited to the international conference Performing The World 2016 in New York City. With your support we will travel with 6 children and we are making all the arrengements for the kids to perform in the a theater called The Pit (All of this with the help of an exceptional magician friend, more on this soon). And you can always contribute by buying though smile.amazon.com and selecting us as a non profit or in our donations page. This entry was posted in Colombia, El Salvador, Featured News, Fundraisers. Bookmark the permalink. Get our newsletter delivered to your inbox! Magicians Without Borders, a 501C(3) organization, performs magic shows for children in refugee camps, orphanages and hospitals around the world -often in war torn places where love, laughter and magic are desperately needed. MWB began when Tom Verner, a professor of Psychology, was traveling through Eastern Europe in 2001 and did some magic shows in the refugee camps of Kosovo and Macedonia. The shows were so well received, that Tom decided to take a leave from his teaching and perform full time. © 2019 Magicians Without Borders. All rights reserved.